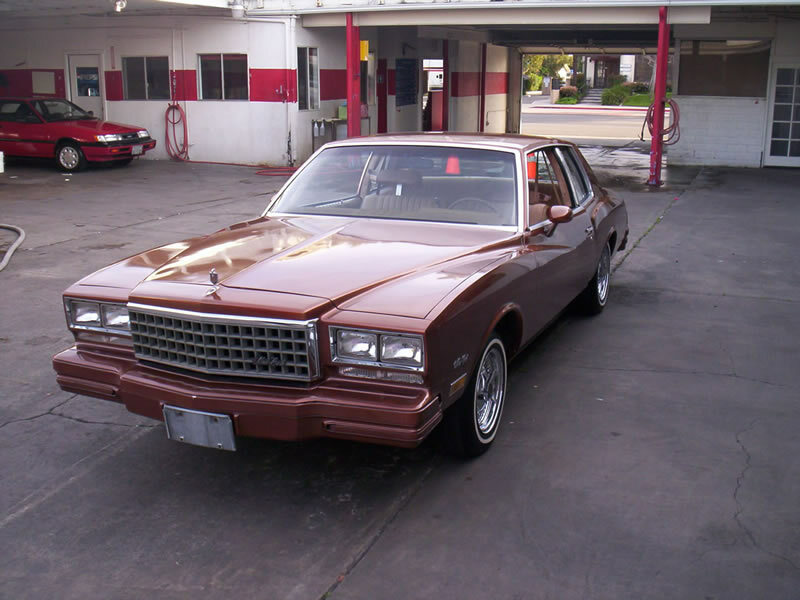 The 1980 Monte Carlo got a facelift with a new egg crate style grille and quad headlights with amber indicator lenses underneath them. Not much else changed from 1979. A new Chevrolet 229 CID V6 engine replaced the previous Buick 231 CID V6 (except in California) however a new turbocharged version of the Buick 231 CID V6 rated at 170 HP was now an option and 13,839 Monte Carlos came out of the factory with that special engine. Other engine options included the 267 CID V8 and the 305 CID V8. The 200-R4 automatic was now the standard transmission on all models. The manual transmission was dropped. The Landau models got a vinyl top, pin striping, deluxe wheel covers, and visor vanity mirrors. This was an expensive option that didn’t sell very well.